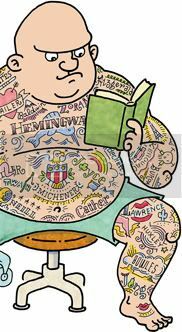 Here at Between the Covers we are awash in art of all kinds from literature to photographs to paintings to theater to, well, you get the idea. While most of these examples exist as relics from the past there is one ongoing example that, while not birthed here at BTC, was co-created by two of our very own alumni, and it’s called Fun-A-Day. It’s a project organized by Artclash Collective, a Philadelphia-base artist group, that challenges anyone anywhere – not just artists – to experience the joy of creation by making a new piece of art, any kind of art, every day for the entire month of January. The rules are simple: produce 31 pieces of art in 31 days. The rules of Fun-A-Day are so simple, so basic, and so unrestrictive, that not taking part takes real effort, which was the point from the very beginning. The whole idea came about when our very own Corey Bechelli and his former roommate, Mike (who back then was also our entire shipping department), were sitting around their apartment lamenting the fact that they really should create more art. But instead of shuffling off to a movie and forgetting the whole thing, they each agreed to create something new every day for a month – Corey drew and Mike wrote songs. Fun-A-Day has inspired literally thousands of works of art! The idea caught on, and caught on big. It spread to friends and then their friend’s friends. Soon everyone was doing something. Now six years later the simple suggestion to get up and do something each January has been adopted by artist all across the country. What started in Philadelphia has spread to Pittsburgh, Brooklyn, Boston, Chapel Hill, NC, Oaklyn, CA, Santa Cruz, CA, and Portland, OR. 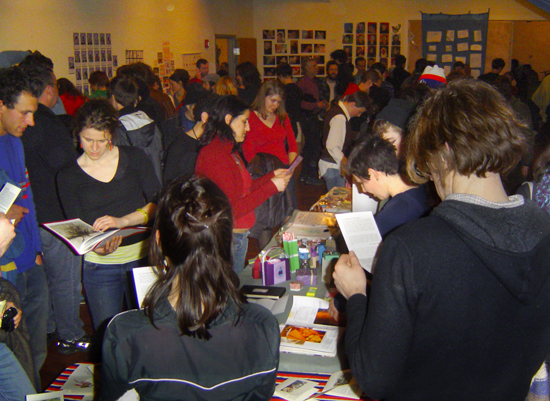 And at the end of the month in each city, a free, all-ages show is held to exhibit the art from every participant which hundreds of people attend. 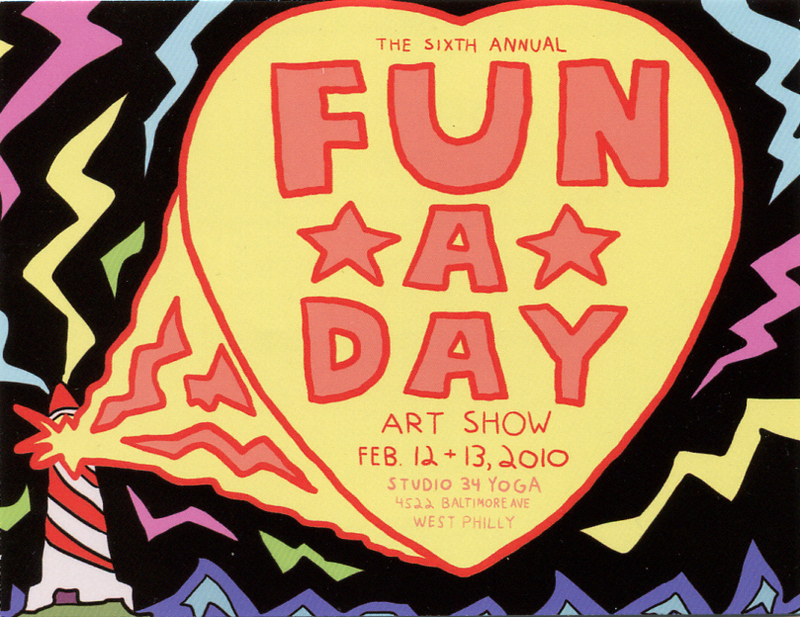 Fun-A-Day is open to any and all kinds of art. It's up to you to choose. As Corey says, the project is wide open and you can really do anything you want. 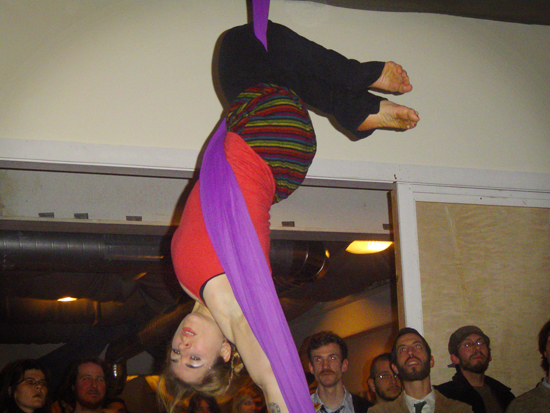 Some of the more original choices have been: piggyback-ride-a-day, mustache-a-day, quilt-square-a-day and bad-tattoo-a-day. 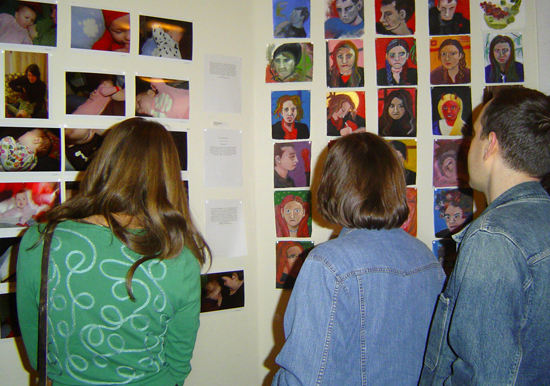 So far every show has included at least 30 people, inspiring literally thousands of pieces of art. If you’re interesting in finding out more and possibly hosting your very own Fun-A-Day in your town, check out the Artclash Collective’s website for more information.